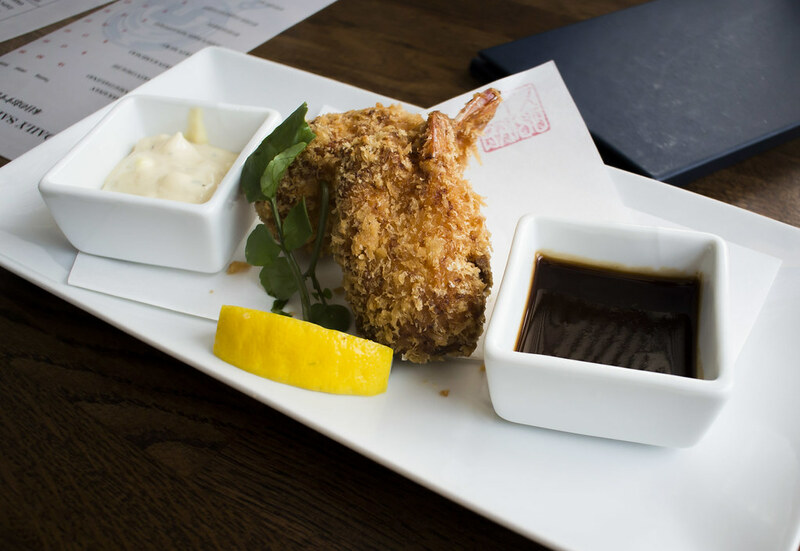 Japanese food appears to be maintaining its popularity in Vancouver, especially in the case of the company “Group Restaurant” which has launched its latest izakaya creation, Raisu, in the Kitsilano West 4th neighbourhood in Vancouver. 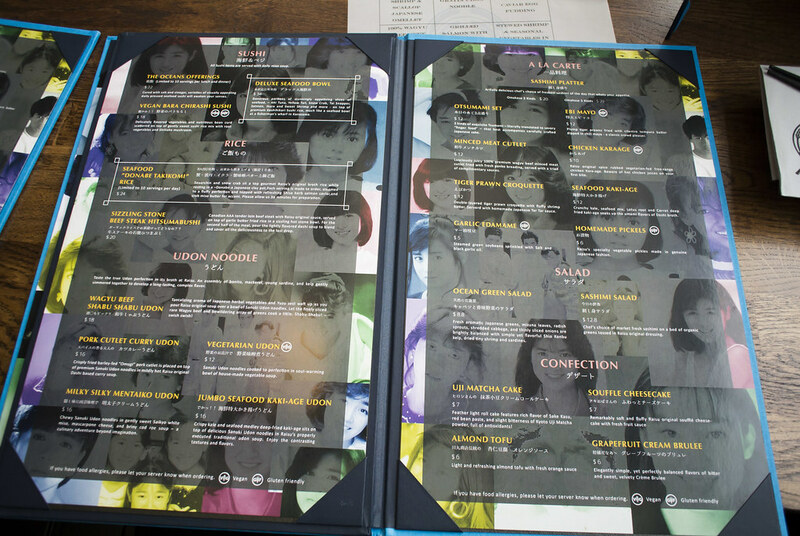 With exclusive menu items, does this new eatery stand out from its family or is it just a carbon copy of what’s already been done? Read on to find out. 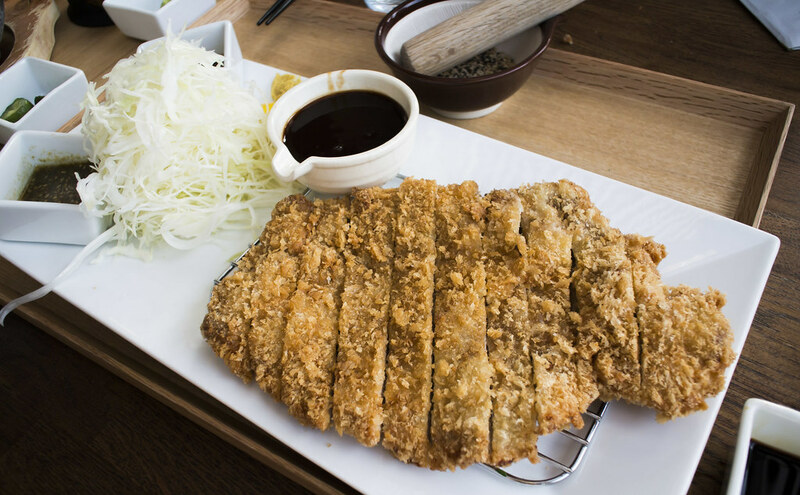 The Tonkatsu Teishoku was a tray of barley-fed “omugi” premium pork crusted with house-made deep-fried panko and served with shredded cabbage and house special dressing on the side. The pork here was indeed up there with some of my favourite tonkatsu (better than places like Charcoal Sushi). Super coarse yet tender on the inside. The sauces here were also very interesting with lots of options. 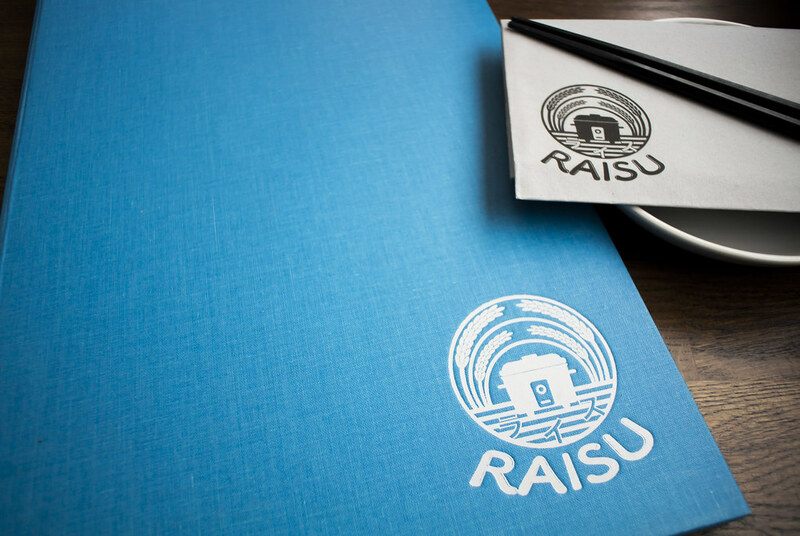 The teishoku boxes are exclusive to Raisu. 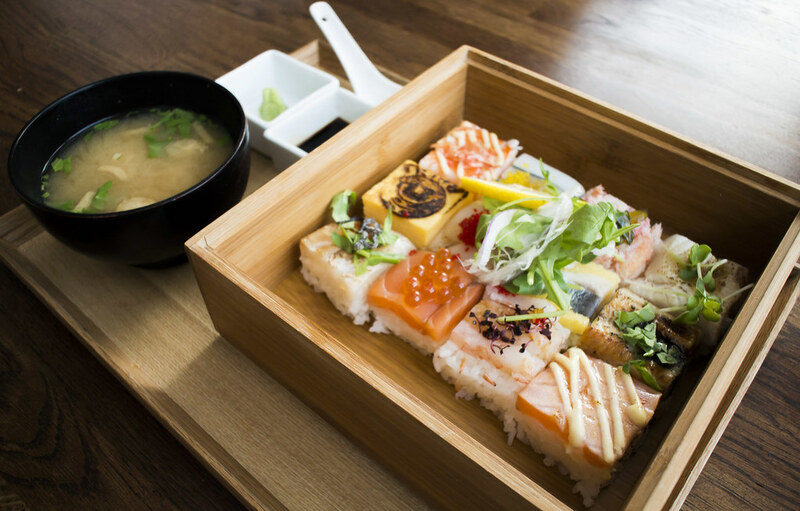 The Ocean’s Offerings was a box of cubed sushi topped with various seafood. There’s a simple joy in seeing Instagram-sized sushi and the cubed sushi here took the cake. One downside was the the rice was very loose and started falling apart as soon as a piece was picked up. The other downside is that there are only 10 servings of this per service so make sure you order fast. More on that later. 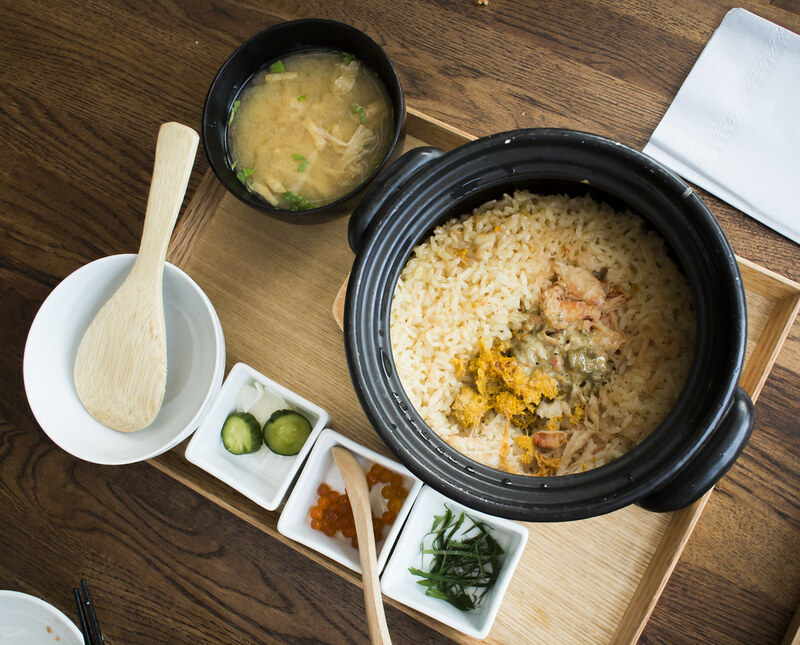 Another limited item was the Seafood Donabe Takikomi Rice which was a giant clay bowl of Raisu’s original broth rice topped with sea urchin, snow crab, shiso herb salmon caviar, and crab miso butter. This was a very gooey rice with the reduced broth and miso butter, similar to a good paella, but I felt some of the seafood taste got lost while stirring in the crab and sea urchin or there was too much rice. Bonus points to the miso soup which had bits of enoki mushroom in it, which never happens at lower end eateries. The Sizzling Stone Beef Steak Hitsumabushi was a two-pronged dish. Similar to the Takikomi Rice, this was a carby dish, but had AAA tender loin beef steak instead of seafood. 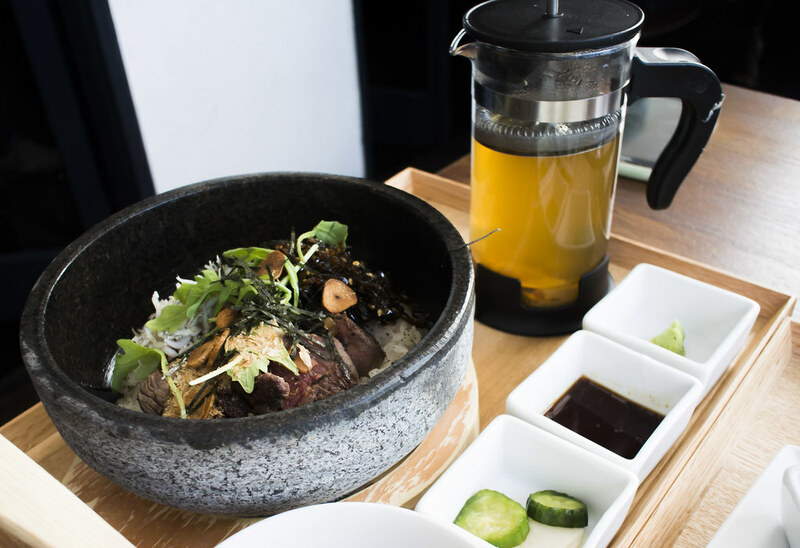 I personally enjoyed this more than the Seafood Donabe as the chunks of steak were very tender and added a balanced taste to the rice in every bite. To eat this, we stirred the bowl, consume about half the rice, then added in the dashi broth from the French press. The French press was pretty haphazard and threatened to leak onto the table as we poured into our stone bowl. 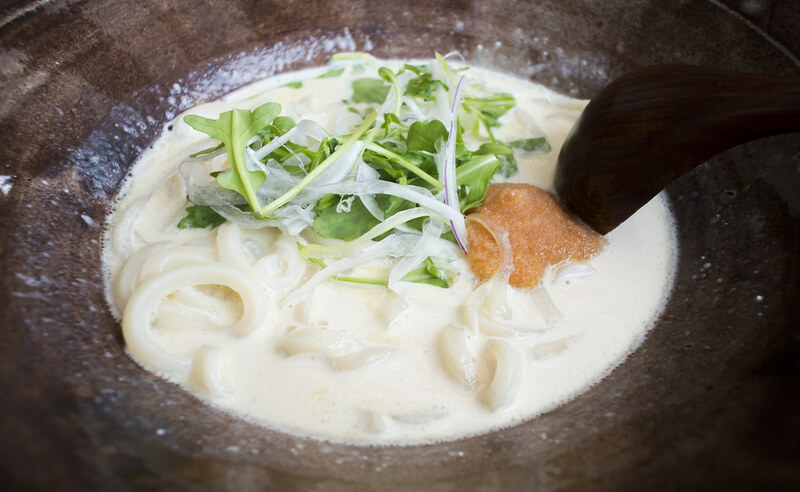 The Milky Silky Mentaiko Udon was a Sanuki-style udon noodle in a sweet saikyo white miso, mascarpone cheese, and cod roe soup. The noodles were fantastic as they were chewy and tasted great with a coating of soup on top. Moving onto the tapas, the Ebi Mayo was first to our table. 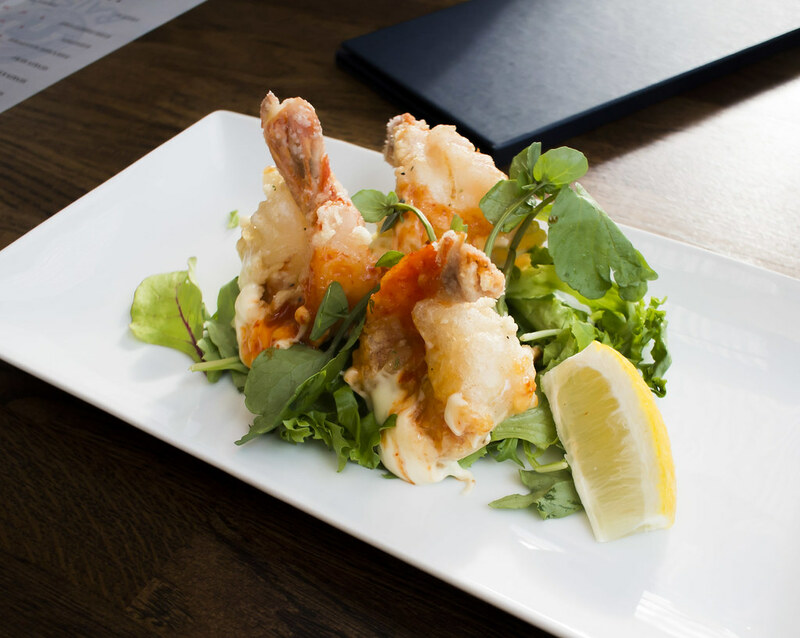 These were plump tiger prawns fried with cilantro tempura batter dipped in chili mayo. These were very buttery and the batter tasted very fresh. Only bummer was that these came in a set of 3 and we had a group of 4. Because we love tiger prawns, we also had a Tiger Prawn Croquette which were double-layered tiger prawn croquettes with shrimp batter. Normally croquettes are filled with a potato sauce (AKA Guu Otokomae), but the use of shrimp batter justified a higher price tag than the regulars. My thoughts on the limited items. Literally the minute menus were handed to us, we were told the Sho Ka Do Bento ($27, limited to 15 servings), was sold out for the evening. What the heck? We got here right at opening, at 5:30pm. If an item is going to be limited in supply, I would expect to place an order close to opening hours, but having to phone in the order seems unreasonable. In fact, the Raisu website doesn’t even recommend that this item be reserved ahead of time. I was quite disappointed to learn as I sat down at opening hour that an item was already out of stock. Raisu sits on the second floor of what I believe to be a former bar in Kitsilano West 4th. 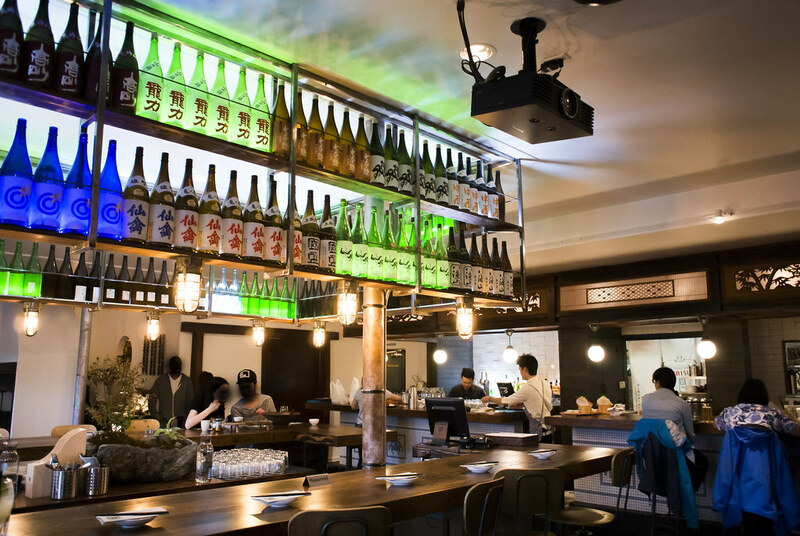 The interior looks a similar style to Suika and has a bustling atmosphere. 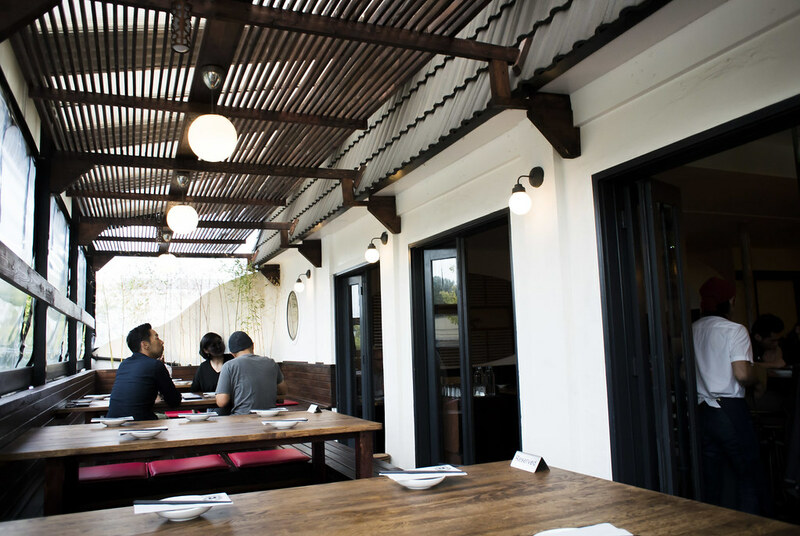 Though there’s seating for about 50 inside at tables and the bar, the real joy is on the covered patio though, with the traditional Japanese booths that require you to take off your shoes. The patio appears able to hold about 24 guests. Don’t worry about getting cold feet, as the carpet under the tables was quite comfy (speaking from experience here). You absolutely should make a reservation here. When we were seated, I noticed basically every table outside and a number of tables were reserved. Furthermore, a line-up was going out the door before opening hours at 5:30pm. That’s hype! Feel the jealous glare of non-reservers as you skip to the front of the line for your allotted reservation time. Service was very good here with very courteous servers and an easy split of the bill. Food took no more than 10 minutes between plates, and this included us adding to our initial order mid-meal. 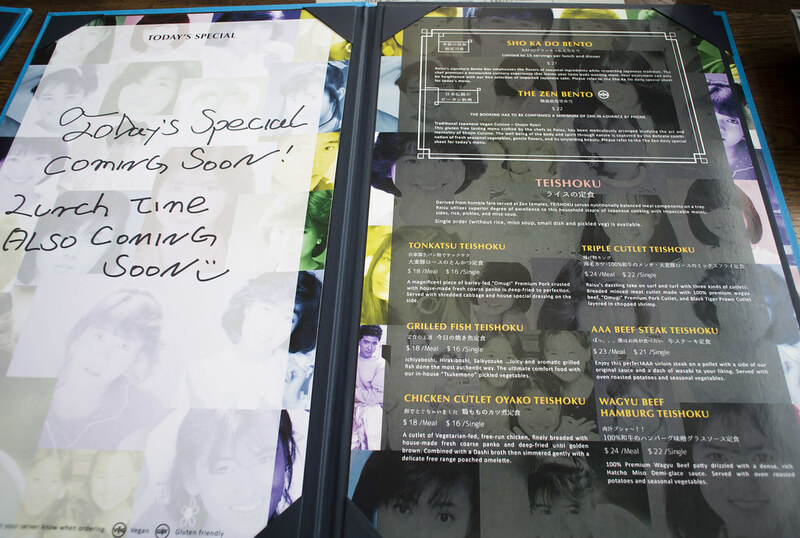 They currently only open for dinner service, but will be open for lunch soon, as indicated on their menu. Would I go back? 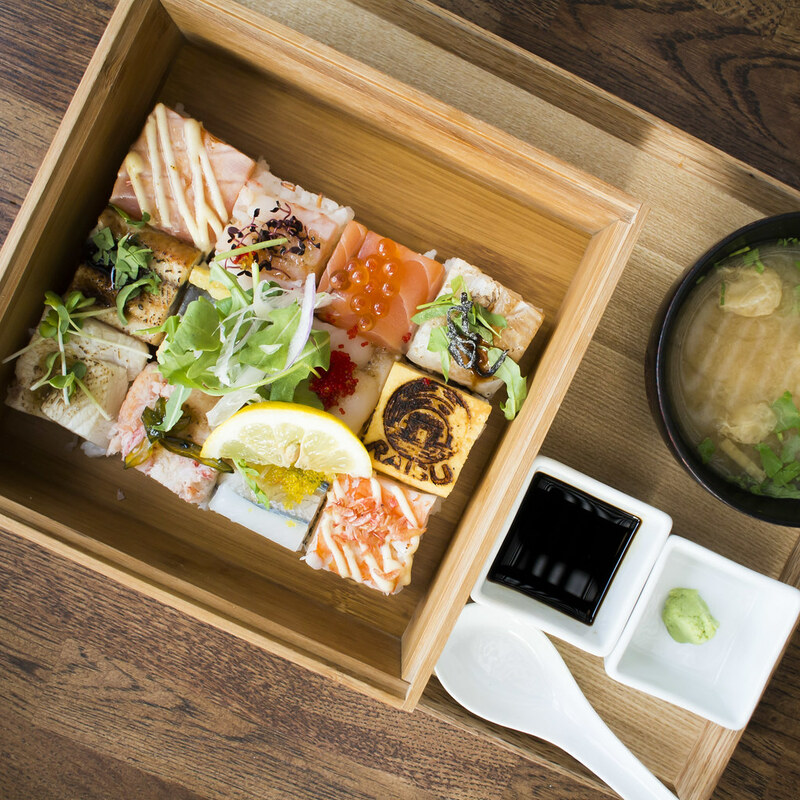 Yes for their teishoku boxes.